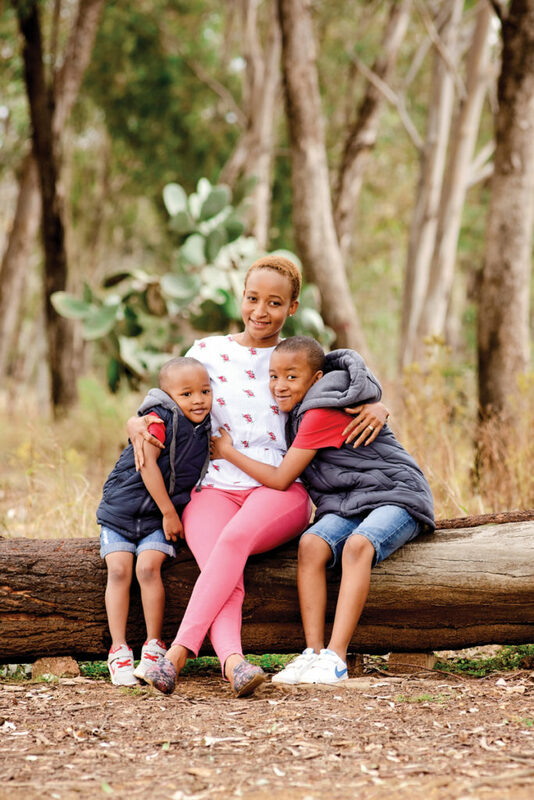 We hear how a young mother, Charmaine Rantidi, was diagnosed with breast cancer before she was 30, and how her husband paved the way for victory. Charmaine Rantidi (29) lives in Daveyton, Gauteng with her husband, Jacob (38), and their sons, Molemo (8) and Reatile (3). When Jacob and Charmaine heard the news that she had breast cancer at the age of 28, they were both distraught. 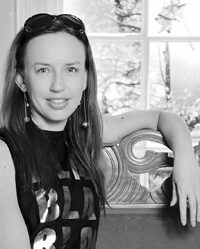 The first thing that went through Charmaine’s mind was ‘my children are still so young, I would like to see them grow up’. Jacob, on the other hand, was the more resilient one. “It was heart-breaking, a lot of things went through my mind but I had hope, and I knew if we concentrated on being positive we would eventually get over it,” Jacob says. The couple had slight knowledge of the disease as Charmaine’s paternal grandmother survived it. 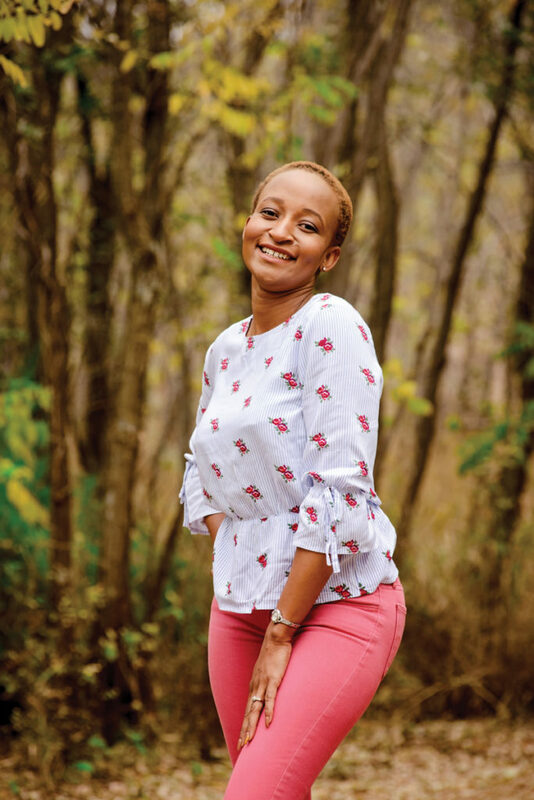 When Charmaine saw other women her age (at the hospital) with breast cancer, it heartened her in the fact that she was not the only young woman fighting this disease. Since Charmaine was 16 years old, she felt lumps in her breasts; they were not painful so she just let them be. In 2006, when Charmaine was in matric, she heard about Helen Joseph Hospital Breast Care Clinic and decided to get the lumps checked out. An ultrasound was done and the lumps were diagnosed as fibroadenomas. She was advised to come for regular check-ups, which she did. In 2010, Charmaine gave birth to Molemo; the new mother only breastfed for four days before an abscess developed on her right breast. Medication was prescribed to clear the infection. The reason given for the abscess emerging was: it could be bacteria from her new-born baby’s mouth. Charmaine was told she could continue to breastfeed once the infection cleared. Though the young mother said it was too painful. 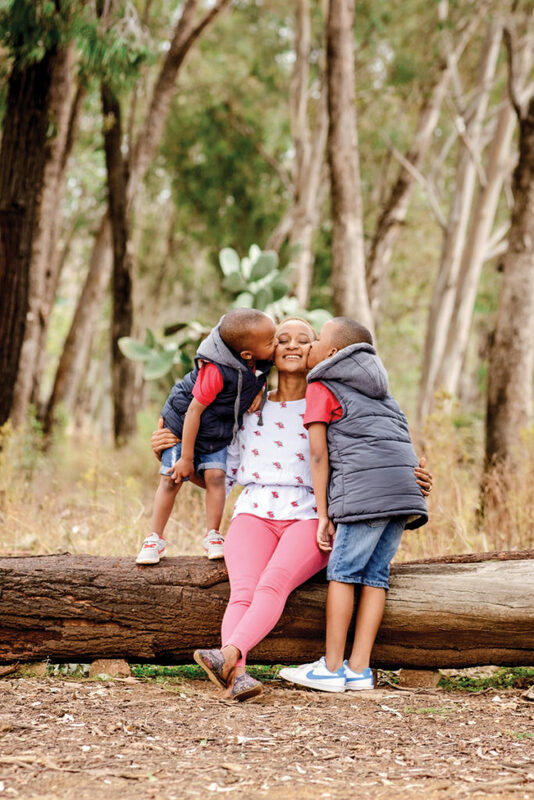 In the years between her sons’ births (Reatile was born in 2014), Charmaine didn’t go for regular check-ups. 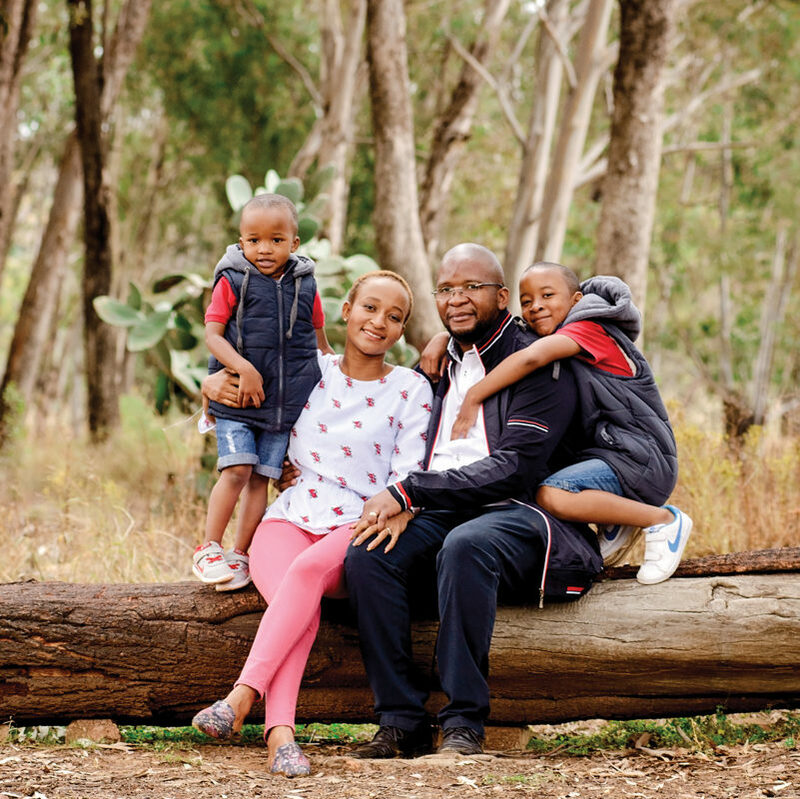 When Reatile was one year and four months, she felt a lump in her left breast. Only this time the lump was sore and growing. She booked an appointment and two months later an ultrasound was done. The doctors said the lump needs to be removed but she must not worry it isn’t cancer. However, once the lump was removed, in March 2017, and sent for testing; it was invasive carcinoma. Charmaine’s treatment plan consisted of six months of neo-adjuvant chemotherapy. The oncologist advised her to have a mastectomy; which she did in November 2017. Currently Charmaine is waiting for radiation (four to six weeks) dates, and then a year after the radiation, reconstruction can be done. The young mother was informed, by the oncologist, about the chance of infertility caused by chemotherapy. Due to her already having two children and no real set plan for a third child, this news didn’t bother her. She was just relieved to be getting healthy again. 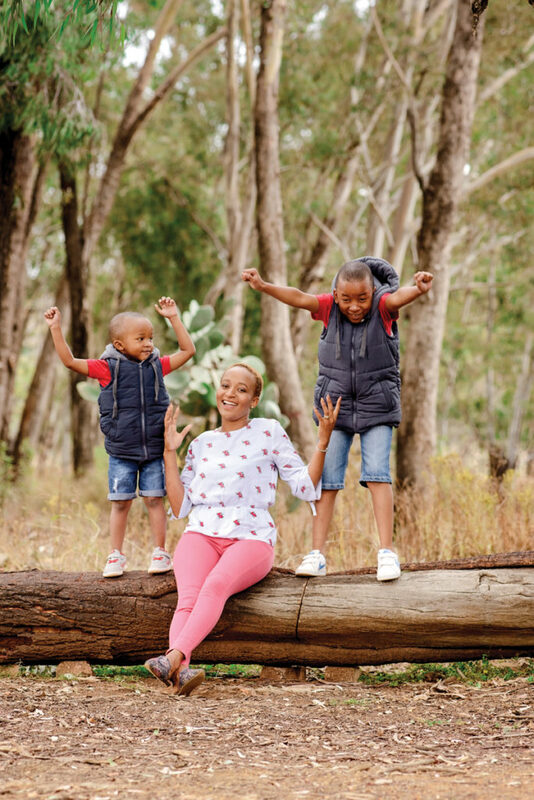 But when she heard Ouma’s story (a Breast Health Foundation community educator and counsellor) of having no children, Charmaine realised how thankful she needs to be for her two children. Ouma’s support and reassurance was invaluable to Charmaine. “Ouma helped me accept my body the way it is now, she prepared me for the side effects of chemo and suggested remedies. She was even there for my first chemo session, to offer support. I could phone her anytime of the day or night, if I needed her,” Charmaine explains. Due to their sons being quite young, Charmaine and Jacob didn’t go into detail about her being ill. Though, the side effects of the chemo treatment did distress Molemo. “He would cry when he saw I was crying…as you know chemo is hectic. I suffered from nausea, my whole body was itching, and my feet were extremely itchy that I would just cry,” Charmaine explains. “When Reatile saw me after surgery, he said, ‘Ma, what did they do? Did they cut it?’, I said ‘Yes’ and his eyes went big ‘With a knife?’,” Charmaine laughs.However, Molemo’s reaction broke Charmaine’s heart. “When he saw my scar, he cried. I consoled him, telling him I am fine and that I will be getting a new breast (reconstruction) soon,” she says. 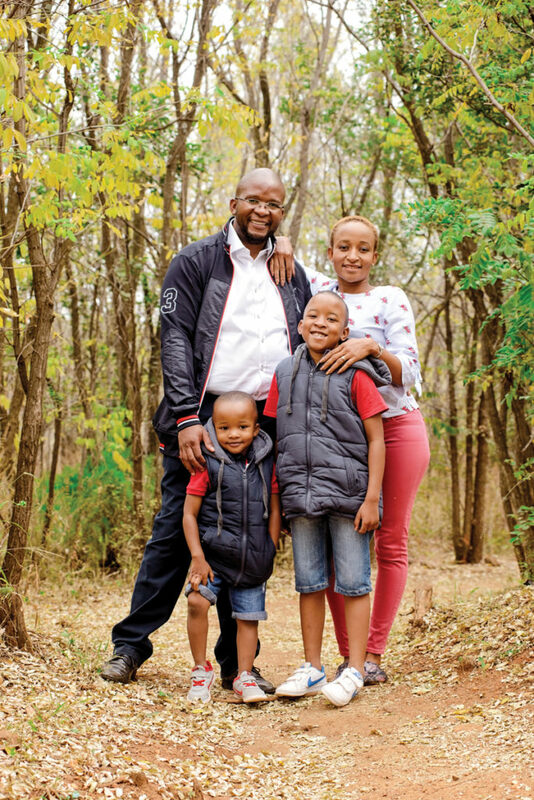 During chemo, Jacob, without hesitation, stepped in to take care of Molemo and Reatile – getting them ready for school, bathing them, making dinner for them and seeing to all their needs. “For our family to move forward, I had to take away that burden from her, so she could deal with this new thing she was experiencing. It was just a matter of accepting that things were different now,” Jacobs says. Jacob views his wife as a remarkably strong woman for her endeavours in overcoming breast cancer. Though he was worried about her how she would view herself after the mastectomy. “I know how she takes things and I worried if she would accept herself,” Jacobs says. So naturally, after the mastectomy, Charmaine asked Jacob how he felt about her with having only one breast. His response, “You are still the same person I fell in love with, the change in your body doesn’t matter to me” was what she needed to hear. Nonetheless, Jacob adds that he will encourage his wife to have reconstruction, knowing it will make her more confident within herself. Charmaine you are power girl, I salute your strength and resilience. Your story gives hope to so many young and old women who may be faced with this traumatic diagnosis. Your sons are so blessed to have such a strong person as a mother. Jacob from the bottom of my heart I want to say thank you a million times for not crumbling and fall apart in the face of adversity. Thank you for being the source of support and strength to Charmaine and the boys. Such positive role modeling we need it for our boys. May the Almighty God continue to bless and protect your family always. Charmaine i concur with the previous comment, you are such a strong individual lady. 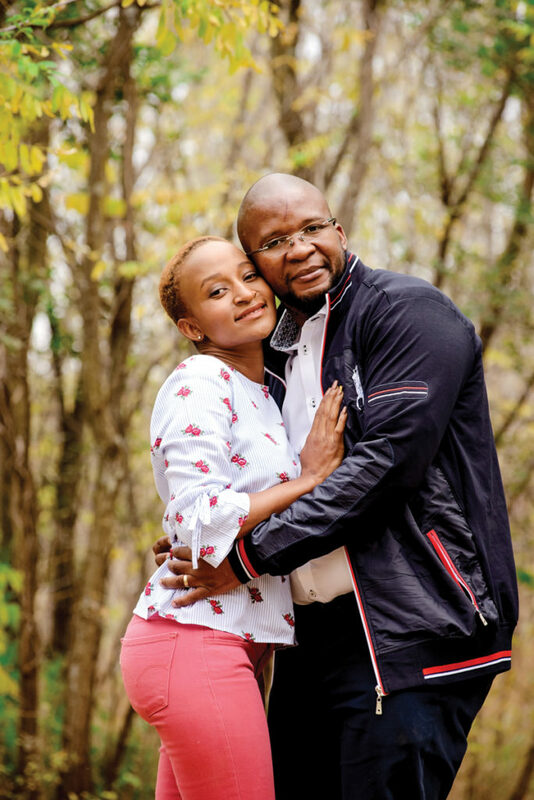 I know you and your husband in person, I must say during those testing/difficult times you didn’t show any signs of worry, all we saw was positiveness and full of life. May your husband continue in giving you support. You two make a good couple, a true story of buddies for life. We love you guys. Woweeee! You all 4 are an inspiration! I’m relieved you are done with the toughest part and I will pray for the upcoming operations. You can totally do this Girl!